So, I woke up to a slow flushing toilet yesterday morning. 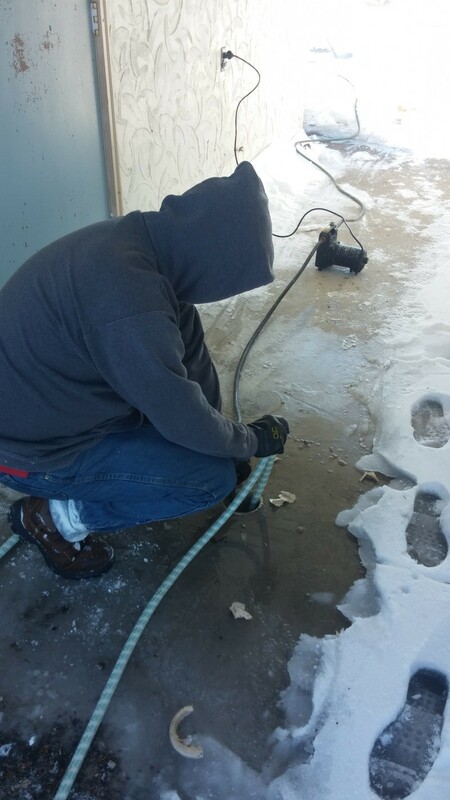 I then had to determine whether it was plugged, the septic was full or worse… frozen! I began by running water in various places and determined it wasn’t just the toilet, so full or frozen. I was able to locate the clean-outs outside, and realizing there was no snow cover over them, I was leaning towards frozen. But, just to make sure, I ran the sewer machine down through the first one as for as it would go, about half way to the second clean-out and all seemed clear. Upon running it down the second clean-out, I immediately hit an obstruction. For those who have never run a sewer machine, it is quite easy to feel the difference between blockage and a wall of ice. I quickly determined the latter. My next chore was to figure a way to melt through said wall of ice. Having recently passed a house where they were doing just that, using high pressure hot water or steam, I knew what I had to do. I grabbed a hose, hooked it to my hot water spigot and shoved it down the pipe. 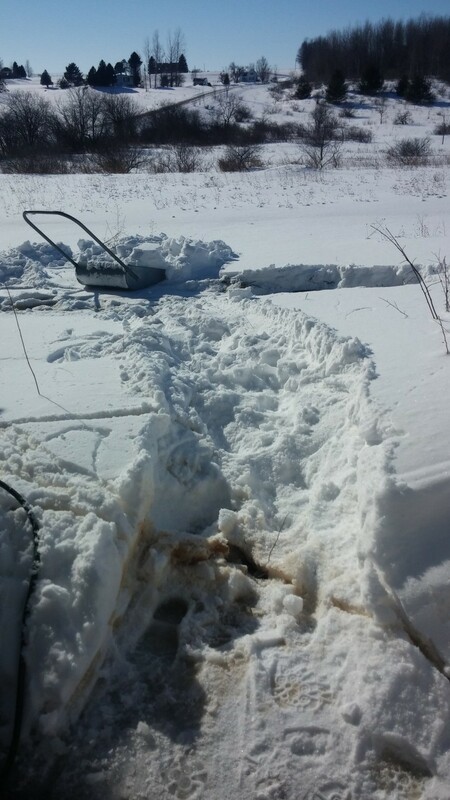 Of course, the line quickly backed up, so I hooked up the pump you hear in the video and discharged it directly into the top of the septic tank, which I had opened previously to see if it was full. It was very slow going, but I persevered and after a couple warm up breaks, and letting the water heater catch up, the ice wall gave way. Happy to say, all seems to be in good working order.